CPhI/PMCE in India 2016 | Ingenious Science and Industry glassware by Asahi Glassplant Inc.
ATR-ASAHI PROCESS SYSTEM exhibited AG! products. 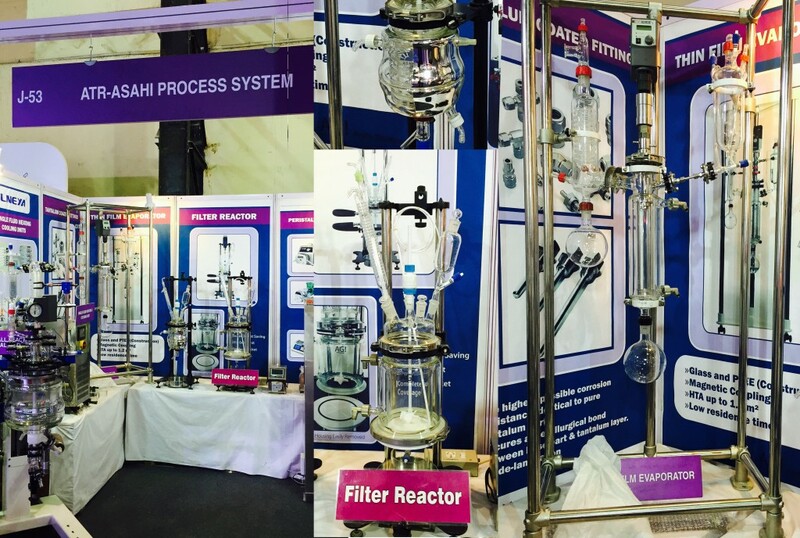 Exhibit: Thin Film Evaporator, Filter Reactor, Reaction Unit etc. You can meet the nearest distributor in the world.